A team is forming and plans are well under way for the Texas A&M College of Architecture’s participation in the U.S. Department of Energy’s 2007 Solar Decathlon. The event culminates with each of 20 teams erecting a house on the National Mall in Washington D.C. The houses form a solar village, which will open to the public Sept. 21-30, 2007. The last Solar Decathlon, in 2005, attracted more than 125,000 visitors. Last Monday, David Dillion, the architecture critic for the Dallas Morning News, offered a glowing review of the “architecturally adventurous” new Dallas high-rise, the W Hotel & Residences, which was designed by Texas A&M College of Architecture graduate Eddie Abeyta (BED ’91, MARCH ’94) for HKS, Inc. 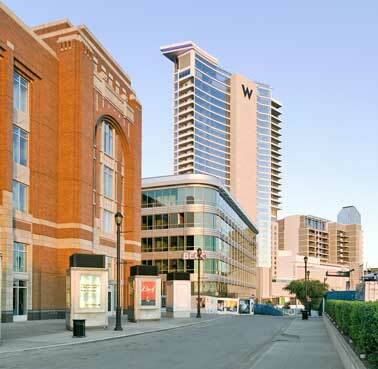 The “W” is located at the forefront of the a 120-acre master-planned mixed-use Victory Park development. The 251-room hotel includes 94 luxury condominiums on its top floors. 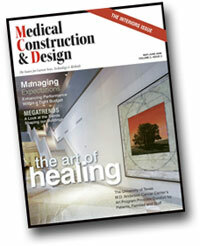 A cover story on healthcare art in the current, May-June 2006 issue of Medical Construction & Design (MC&D) magazine has generated a lot of interest in Roger Ulrich’s research on the topic. Architecture professor Ulrich and the Center for Health Systems & Design at Texas A&M University’s College of Architecture have received a number of telephone queries, requesting more information on the topic. The MC&D article focuses on the evidence-based art program at M. D. Anderson Cancer Center. Ulrich’s research is prominently mentioned and forms the basis for much of what is said in the article. The grant qualifies Wang to present preliminary findings and outcomes at the 2007 AIA Grassroots Leadership Conference and the 2007 AIA convention, in addition to other venues and publishing opportunities. Of the three ETF grant components, two have deadlines. The next deadline for Regional Center of Innovation and Commercialization project grants (Subchapter D) was Tuesday, June 27, 2006. The next deadline for Research Matching Emerging Technology grants (Subchapter E) has been changed from June 27, 2006 to September 26, 2006. For more information, visit the web site http://www.governor.state.tx.us/divisions/ecodev/etf/ or contact Linda Ravey, Assistant Director, Administration & Strategic Initiatives, Office of Technology Commercialization, at Linda-Ravey@tamu.edu or 979-845-8966. July 30 is the deadline for submitting abstracts to be considered for the October 6-7 Disaster Recovery & Redevelopment Interdisciplinary Student Research Seminar. Note, this is a student-led event showcasing student research related to disaster recovery and redevelopment. August 25 — The fall 2006 Faculty/Staff meeting begins at 10 a.m. in the Preston Geren Auditorium. Lunch will be served afterward in the Langford B Exhibit Hall. September 18 is the deadline for submitting materials for the College of Architecture’s Oct. 30 faculty research symposium, “Research on the Built and Virtual Environments: Global Symposia Presentations 2006.” Abstracts, supporting print-quality graphics and a list of each faculty member's invited presentations and published papers since June 1, 2005 should be submitted to Kathy Waskom at k-waskom@tamu.edu. A list of presentations and published papers should be submitted by all faculty members, even those who are not presenting at the Oct. 30 event. Also, faculty new to the college are encouraged to participate. Submissions my also be placed in the “Global Symposium 2006” folder located on the CARC-SHARED (or “S”) drive on the college’s server. This is especially useful for large graphic files. September 25 — The College of Architecture’s annual Faculty Recognition Banquet is set for 6:30 - 10 p.m. at the Presidential Conference Center. Faculty who have received awards or special recognition since last year’s banquet are urged to report the details to Trish Pannell at 458-0400 or e-mail t-pannell@tamu.edu. October 30 —The College of Architecture's eighth annual daylong faculty research symposium, “Research on the Built and Virtual Environments: Global Symposia Presentations 2006,” will be held throughout the Langford Architecture Center. November 10 — The Dean's Advisory Council’s fall meeting will be held 8 a.m. - 4 p.m. in Langford A 217 Conference Room. For more information, contact Trish Pannell at 458-0400 or e-mail t-pannell@tamu.edu. November 10 —The fifth annual Health Industry Advisory Council meeting will feature lectures and member networking with faculty fellows from the College of Architecture's Center for Health Systems & Design. Dr. John Zeisel, president and co-founder of Hearthstone Alzheimer Care, Ltd. and author of the classic text, “Inquiry by Design,” will present the keynote address. For more information, contact Judy Pruitt at 845-7009 or e-mail jpruitt@archmail.tamu.edu. November 10 — A banquet honoring the 2006 recipients of the College of Architecture’s Outstanding Alumni Award 6:30 - 10 p.m. at Miramont Country Club. For more information or to reserve a seat, contact Trish Pannell at 458.0400 or e-mail t-pannell@tamu.edu. November 11— The College of Architecture's annual Former Student Open House is set for 8 a.m. – noon. Departments are encouraged to develop an exciting agenda for this event and faculty are urged to attend. For more information, contact Trish Pannell at 458-0400 or e-mail t-pannell@tamu.edu. Final exams for first summer term. Independence Day: Faculty and staff holiday. Second summer session begins: The summer’s second term classes get under way. CampARCH+ is an exclusive week-long interdisciplinary experience designed to acquaint students with the study of and potential careers in professions utilizing architecture, visualization, construction science, landscape architecture, and urban planning. Activities include lectures, design/build activities, digital photography, video editing and presentations by faculty in the College of Architecture. Additional activities include workshops in basic design and materials, individual and group projects, a review and critique of projects, and information about attending Texas A&M University and the College of Architecture. To learn more, visit the CampARCH+ Web site at http://archone.tamu.edu/college/careerhorizons/. Q-drop: Last day for all students to drop courses with no penalty for the 10-week summer term. First Things First Time Management Workshop: In this one-day workshop offered through the Continuing and Professional Studies Office, participants learn: strategies for getting the most important things done first while staying focused on highest priorities; how to focus on what is important, rather than simply respond to things because they are urgent; and to see, think, and act differently to achieve better results. Participants will also receive a FranklinCovey Participant Manual and Stephen Covey's & Roger Merrell's First Things First best-seller book. 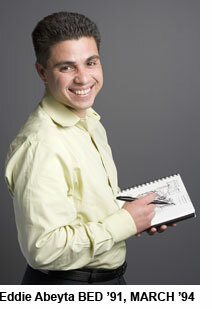 The workshop is taught by a FranklinCovey Certified Facilitator. The workshop costs $349. For more details and to register, visit: http://capso.tamu.edu/all-programs/first-things-first. Vanegas leads lecture series: Dr. Jorge Vanegas will host 20 Universidad de los Andes students accompanied by Dr. Diego Echeverry for a series of lectures and site visits. The lectures will be in Spanish! For lecture topics and times, contact Dolores Gonzales, 458-0102 or e-mail dgonzales@archone.tamu.edu. Research proposal presentation: 10 a.m. - noon in Langford A 323. "Decision Support System for Real Estate Construction" — Committee members: Leslie Fegenbaum, Robert Johnson, and M. Haque For more information, please contact Sharmistha Ghosh at 979-997-6479 or e-mail sghosh81@yahoo.com. Q-drop: Last day for all students to drop courses with no penalty for second summer term. Second summer sessions end: Last class day of the second summer term and 10-week semester classes. Final exams for second summer term and 10-week classes. Architectural photography exhibit featuring 25 large format photographs of architecture by Marcel Erminy. For more information, contact Marcel Erminy at 845-1015 or e-mail merminy@tamu.edu. COSC graduation reception: The Department of Construction Science will hold a reception for summer 2006 graduates 5:30 - 8 p.m. in the Langford A atrium. For more information, contact Ann Eastwood at 845-0289 or e-mail aeastwood@archone.tamu.edu. COSC department retreat: The Department of Construction Science will hold a daylong departmental retreat at the 7-F Lodge. The event is scheduled from 8 a.m. - 9 p.m. Directions are available on the 7F Lodge Web site: http://www.7flodge.com/Directions.htm. 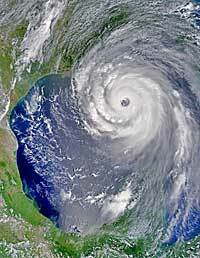 College faculty/staff meeting: College of Architecture faculty and staff meet 10 a.m. in the Langford B auditorium,. Lunch will be served in the Langford B Exhibit Hall after the meeting. Classes start: First day of fall 2006 semester gets under way. MSC Open House showcases student groups: The annual Memorial Student Center Fall Open House will be held the first Sunday of the semester in the MSC, Rudder Exhibit Hall and G. Rollie White Coliseum from 1 – 6 p.m. This is Texas A&M's largest recruiting event for recognized campus organizations. An estimated 13,000 people attend every fall. Tables for recognized student groups can be reserved now at the MSC Box Office in the lobby of Rudder Tower. Tables are $35 and can be purchased using cash, a student organization finance check, interdepartmental transfer, Aggie Bucks or credit card. Tables will remain on sale until all the space is taken or Wednesday, August 30, whichever comes first. Students, faculty, staff and the community are invited to attend. Registration forms are available online at http://mscopenhouse.tamu.edu/. For more information, contact Heather Hartman at 979.845.626, e-mail marketing@msc.tamu.edu or visit http://mscopenhouse.tamu.edu/. German study abroad exhibit: Students who participated in the spring 2006 study abroad program in Düsseldorf, Germany will exhibit their work in the Langford B Exhibit Hall. For more information, contact Dolores Gonzales at 458-0102 or e-mail dgonzales@archone.tamu.edu. National Association of Home Builders Student Chapter meeting & dinner: 6:30 - 10 p.m. in Langford B Exhibit Hall and Geren Auditorium. For more information, contact Joe Horlen at 845-0289 or e-mail Ann Eastwood at aeastwood@archone.tamu.edu. National Association of Home Builders Student Chapter meeting & dinner: 6:30 - 10 p.m. in Langford B Exhibit Hall and Geren Auditorium. For more information, contact Joe Horlen at 845-0289 for e-mail Ann Eastwood at aeastwood@archone.tamu.edu. Department of Architecture lecture: 5 p.m. - 7 p.m. in the Geren Auditorium. Details to be announced. For more information, contact Malcolm Quantrill at 845-7878 or e-mail casa@archone.tamu.edu. Faculty Recognition Banquet: The College of Architecture's annual presentation of special awards and recognitions to outstanding faculty is set for 6:30 - 10 p.m. at the Presidential Conference Center. For more information, contact Trish Pannell at 458-0400 or e-mail t-pannell@tamu.edu. Disaster Recovery & Redevelopment: Interdisciplinary Student Research Symposium — This two-day student-led event will explore relevant new research in rapidly developing field of disaster recovery and redevelopment. Abstracts will be accepted through July 30 in the following thematic areas: the natural and built environments; social and economic vulnerability; public policy; resource management; design and (re)development; physical planning; and other related topics. Complete papers are due by Sept. 30. The symposium and a student-managed online peer-reviewed journal will be structured around the thematic areas list above. 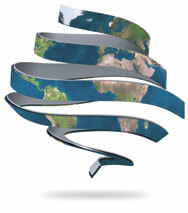 The journal will publish the symposium's most exemplary papers. Symposium speakers include: Dr. Shirley Laska, director of the Center for Hazard Assessment and Response and Technology at the University of New Orleans; Ty Symroski, director of growth management for Monroe County, Florida; and Dr. Walter Gillis Peacock, director of the Hazard Reduction and Recovery Center at Texas A&M University. Registration is $30. More details and online registration are available on the College of Architecture's Office of Continuing Education Web site: http://archone.tamu.edu/conted/ or by contacting Dolores Gonzales at 458-0102 or e-mail dgonzales@archone.tamu.edu. Building inspection workshop: The Department of Construction will holding its fall Building Inspection Workshop 7 a.m. - 5 p.m. in Langford C 105. For more information, contact Ann Eastwood at 845-0289 or e-mail aeastwood@archone.tamu.edu. Department of Architecture lecture: 5 p.m. - 7 p.m. in the Geren Auditorium. Details to be announced. For more information, contact Malcolm Quantrill at 845-7878 or e-mail casa@archone.tamu.edu.ill at 845-7878 or e-mail casa@archone.tamu.edu. LAUP Professional Advisory Board meets in the Langford Gallery.For more information, contact Robin See at 8-4307 or e-mail robin-see@tamu.edu. 8th annual faculty research symposium: The College of Architecture's eighth annual daylong faculty research symposium, "Research on the Built and Virtual Environments: Global Symposia Presentations," is slated for Monday, Oct. 30. Abstracts, supporting print-quality graphics and a list of each faculty member's invited presentations and published papers since June 1, 2005 are due by Sept. 18 to Kathy Waskom at k-waskom@tamu.edu. The presentations and publish paper lists should be submitted by all faculty members, even those who are not presenting at the Oct. 30 event. CPC/AIC Exam: The Department of Construction will give the Certified Professional Constructors/American Institute of Constructors required exam to all graduating seniors 7 a.m. - 5 p.m. in Rudder Rm. 601. For more information, contact Ann Eastwood at 845-0289 or e-mail aeastwood@archone.tamu.edu. LAUP Professional Advisory Board meets 8 a.m. - 5 p.m. in the Langford A Gallery. For more information, contact Robin See at 458-4307 or e-mail robin-see@tamu.edu. Outstanding Alumni Award Banquet: The College of Architecture will honor the 2006 recipients of the Outstanding Alumni Award 6:30 - 10 p.m. at Miramont Country Club. For more information, contact Trish Pannell at 979.458.0400 or e-mail t-pannell@tamu.edu. Dean's Advisory Council fall meeting: The meeting will be held 8 a.m. - 4 p.m. in Langford A 217 Conference Room. For more information, contact Trish Pannell at 458-0400 or e-mail t-pannell@tamu.edu. Fifth annual Health Industry Advisory Council meeting: The daylong HIAC meeting features lectures and member networking with faculty fellows from the College of Architecture's Center for Health Systems & Design. Dr. John Zeisel, president and co-founder of Hearthstone Alzheimer Care, Ltd. will present the keynote address. He will also be available to sign copies of his classic text, "Inquiry by Design," which is hot off the press. For more information, contact Judy Pruitt at 845-7009 or e-mail jpruitt@archmail.tamu.edu. Former student open house: The College of Architecture's annual Former Student Open House is set for 8 a.m. - noon on Saturday, Nov. 11. For more information, contact Trish Pannell at 458-0400 or e-mail t-pannell@tamu.edu. Construction Industry Advisory Council meets 9 a.m. - 5 p.m. in 601 Rudder Tower. For more information, contact Ann Eastwood, 845-0289 e-mail aeastwood@archone.tamu.edu. LAUP Career Fair: The The Department of Landscape Architecture and Urban Planning will hold their student career fair in the Langford A Atrium. For more information, please contact Robin See at 458-4307 or e-mail rsee@archmail.tamu.edu.